For those of you following along at home, a Bryant Park bird update: in my last Bryant Park Birding blog post, I predicted that we would soon reach 119 bird species recorded in the park (and hopefully even 120! ), and more specifically, that bird species #119 would be a Blackburnian Warbler. I wish I were the betting type (and knew someone who wanted to wager on bird sightings), because sure enough, one week later, we spotted a stunning male Blackburnian Warbler on our evening walk (you can see lists of all of the species seen on all of the walks here). We didn't spot #120 on this walk, but surely someone will spot #120 soon! Not that numbers really matter of course, it's just fun to track these things and add a little drama and excitement to the bird walks. And there are a few species which I would expect to have been seen before, but that have never been reported from the park. 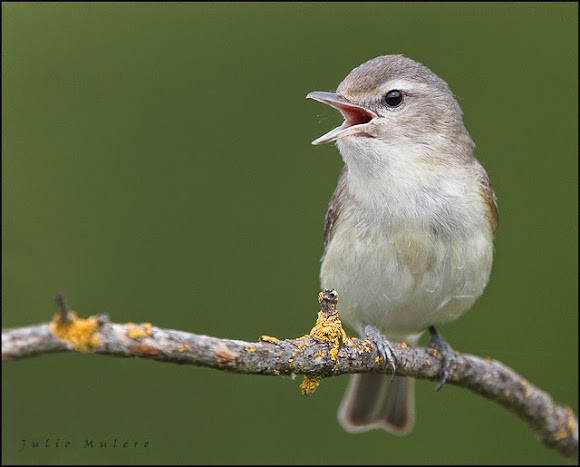 Warbling Vireo - Julio Mulero. First among them is the Warbling Vireo: this is a nondescript but common bird. It is smallish, an undistinguished grayish green, with no spots, stripes, or bright colors. But what it lacks in feathery flair it makes up for with a distinctive husky, rambling, warbling song. They sit among dense foliage in tall cottonwoods, sycamores, and plane trees and glean for caterpillars between bouts of cheerful-sounding song. They are quite common in NYC, and even nest in larger parks like Central Park or Prospect Park (the vast majority of NYC's recorded bird species are just passing through during migration - there isn't enough habitat available for most species to choose to breed here). 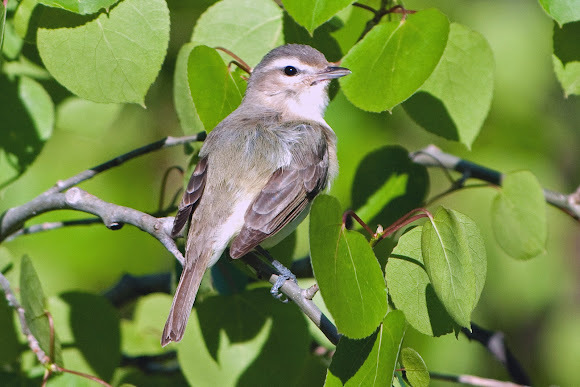 Warbling Vireo - Patty McGann. Given the nice stands of mature plane trees in Bryant Park, and the widespread nature of Warbling Vireos in NYC, I'm quite surprised they haven't been spotted in Bryant Park as of yet. It's only a matter of time really, and I predict that species sighting #120 will be this species. Anyone want to make a bet? It's been a pleasure as always leading the Bryant Park Bird Walks for another season. I'll be back on September 14th to resume for the fall migration season. And for the first time, we'll be offering bird walks twice-weekly in the fall, just like in the spring! I hope to see you then.